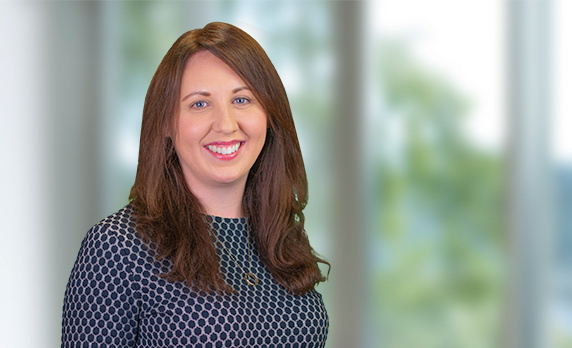 Eithne Lynch says A&L Goodbody’s pro bono practice is unique in that it seeks to engage with all lawyers across each of the firm’s offices. Background: The first full-time Pro Bono Associate by the firm, and the first of its kind by an Irish legal practice. The position will entail overseeing and building upon the firm’s current pro bono programmes and initiatives. A&L Goodbody’s decision to hire a senior legal professional exclusively to manage its pro bono programme is part of the firm’s ambition to see its lawyers deliver an average of 25 pro bono hours per lawyer per year by 2021. Currently the firm asks each lawyer to deliver 10 hours per year, and creating this new position will enable it to expand the pro bono service further. She joins A&L Goodbody from PILA, the Public Interest Law Alliance, where, as a legal officer, she managed the pro bono referral scheme, connecting social justice organisations with legal expertise. In addition, she developed pro bono clinics, law reform working groups, and facilitated strategic litigation. Ms Lynch also spent a number of years developing rule of law projects in Southern Africa. A qualified solicitor, she trained with a top tier commercial law firm and practised for a number of years post qualification. Much of the pro bono service is legal work for charities, social enterprises, and clients who have legal needs in areas such as property, employment, corporate, and data protection. ALG works in partnership with domestic and international ‘clearing houses,’ including the Public Interest Law Alliance, Business in the Community, and Thomson Reuter Trustlaw Foundation. So far in 2018, ALG lawyers have delivered over 4,500 pro bono hours working on 160 legal cases. In early 2013, the firm embarked on a collaborative project, the first of its kind, with the Irish Refugee’s Independent Law Centre to provide a unique pro bono service for people claiming refugee status in Ireland. Early this year ALG partnered with Mercy Law Resource Centre and Focus Ireland to provide free legal advice and representation to persons who are homeless or at risk of becoming so. Since 2013, the firm’s pro bono practice has grown by 25%. “Our pro bono practice is unique in that we look to engage with all our lawyers across each of the firm’s offices. I am supported by Eamonn Conlon, Partner for Responsible Business, and Sinead Smith, Corporate Responsibility Manager, and together as a team we drive engagement across the firm and ensure that our lawyers are aware of opportunities to get involved. Research has shown for a pro bono practice to become fully integrated into the fabric of a law firm, it needs to be structured, diverse, meaningful, and impactful. Pro bono is not a replacement for a fully functioning State civil legal aid system, she believes, but it can and does provide invaluable assistance to the vulnerable and marginalised. She dates her passion for social justice back to her university days and involvement with the Free Legal Advice Centres. “As a trainee lawyer and after qualifying, every Monday evening I attended the free legal clinic in the Citizen Information Centre in Ringsend. It opened my eyes to the legal need in our community and how my skills could help people to navigate the legal system. Through the clinic I witnessed how with some legal direction people can become empowered to use the law to advocate for their legal rights,” she added. Between 2011 and 2013, she worked with Tanzanian Women Lawyers Association in Dar es Salaam, a non-profit organisation campaigning for equal rights for women and children through the provision of free advocacy services and education programmes. This was followed by a period working in Malawi providing technical legal assistance to lawyers within the Ministry of Justice.